I know, I know. This is the third week in a row that I’ve played a game not yet out, instead of reviewing something that is. I promise this isn’t what the Time Waster is going to become. It’s just that the games that keep catching my interest aren’t in their final forms yet. Still, that doesn’t mean they aren’t worth looking at. This time around I’m checking out Pixel Starships. What sets this game apart from other recent previews is that it is available on mobile devices. I think that’s a first for me as I’m already wary of games in Early Access. However, since this is free I didn’t have any of those normal hesitations. Pixel Starships is an MMORPG that has players taking on the task of running their own starship. This includes managing the crew, structure, weapons and just about every other aspect of the ship. Players can choose between one of three factions when starting out with each one having their own specific tasks. I went with the pirates, so I’m unsure how the other options work. 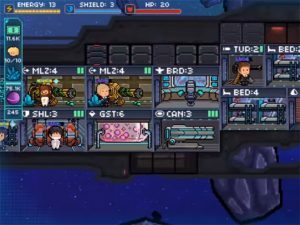 Pixel Starships first has players completing a somewhat lengthy tutorial before they can actually start playing the game. However, once they are done with this, they are given complete freedom. This includes choosing what types of missions to take, how to setup their ships, the crew that they hire and more. 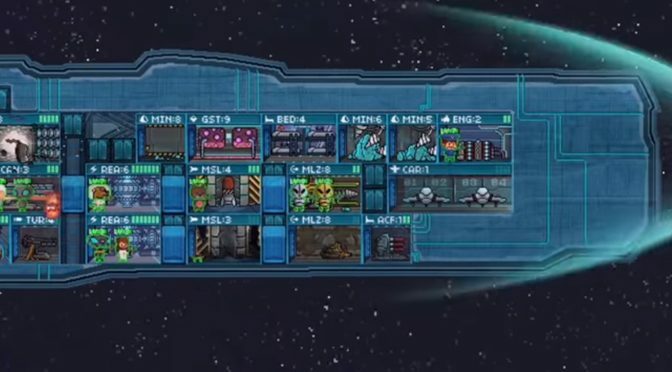 Missions in Pixel Starships range from three different types. The first are combat missions. These will have the players fighting against enemy ships, with the goal being victory. 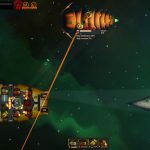 Players can actually choose what parts of ships to shoot at, which adds a layer of strategy to the game. If the opponent has strong shields, it might be best to take out their shield generators first. On the other hand, if you can overpower the shields, then taking out the reactor will shut down all of the ship’s functions. Another neat little aspect of these battles is having players manage their own ships power. 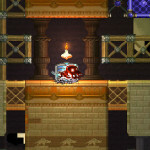 Players can choose to put more energy toward their engines, which increases the chance to dodge incoming enemy attacks. They can also divert power to the shields or weapons depending on how the battle is going. 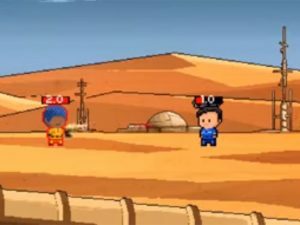 The placement and level of the crew also have an effect on battles. Putting crew in certain parts of the ship can have them repair those rooms. This can make it harder for the enemy to knock out those functions, thus increasing the player’s chance of success. Another of the mission types available in the game is collecting scrap. This mainly plays like the battles, but without much action. 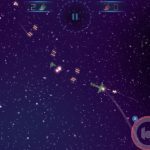 Players can destroy old ships and asteroid to collect scrap off of them. Rather than worry about the engine or shields, players can just be aggressive to finish these missions quick. The final mission type in Pixel Starships has players exploring planets. This completely shifts from the normal type of gameplay to become a turn-based RPG. 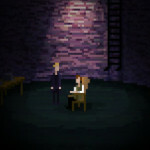 The player will have to give commands to each crew member to have them defeat the enemies standing in their way. Once all the cannon fodder is gone, the crew will have to fight a boss of that area. 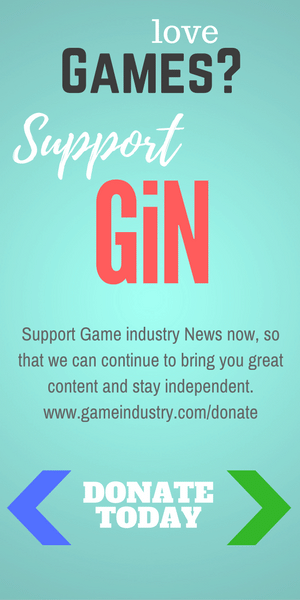 Being that Pixel Starships is a mobile game, there’s plenty of opportunities for players to pay for things with real-world cash. This mainly comes in the form of speeding up construction of the ship and its components. This feature is what keeps me from playing any of the PVP parts of the game, but that is an options for those wanting to test their ships out against other players. Moving on, the visuals of Pixel Starships are actually what got me to check the game out in the first place. I saw the pixel style and it just caught my attention. It’s a nice look that fits well with a mobile game. The UI was also easy to navigate, but some of the character portraits seem a bit questionable. When it comes to the audio in Pixel Starships, the jury is out. The only voice acting in the game comes from the tutorial girl and was promptly turned off when I started playing. That’s because it’s just the female version of Microsoft Sam, whose real name eludes me at the moment. The rest of the audio in the game doesn’t seem bad, but not really noteworthy either. Granted, this is a game in Early Access. Overall, Pixel Starships seems like a good way to waste some time to me. The game works well as a resource management simulator, but also has other gameplay elements to keep it interesting. Obviously I won’t be giving it a score since it isn’t out yet. At the same time, don’t expect a follow-up review on this one. I’m getting all I really want out the game now, and like many other mobile games, I doubt it will hold my interest long enough for its final release.